Every home owner knows the level of care that goes in maintaining a roof because it is often subjected to a lot of wear and tear. One of the common reasons behind the wear and tear of the roofs using low quality roofing materials. 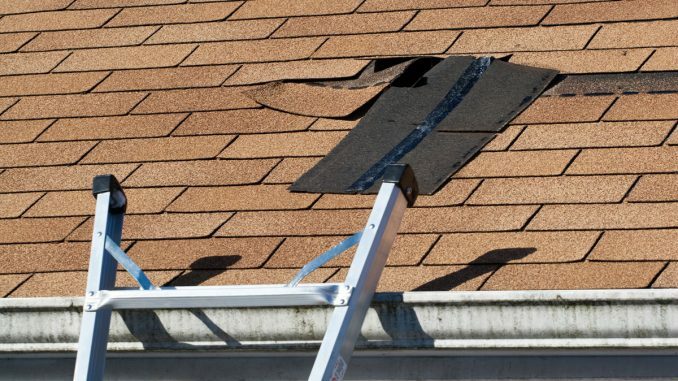 If you feel that your roof is old and damaged, it is highly recommended that you take an immediate action and get the services of a roofing contractor before any accident takes place. Hiring roofing contractors Calgary is very important because only they can properly inspect your roof and then recommend the repairs that need to be done. You must be thinking how you can get in touch with the best roofing contractor, especially when the internet is flooded with so many different options. One of the best ways to get in touch with a contractor is to get references from family and friends. Know of someone who got their roof fixed? Feel free to ask them for references. Remember that word of mouth advertisement is the best because it is unbiased and more often than not connects you with a great contractor. Remember that no question is stupid and you will be paying them for their services. This is the reason why you need to ask all the questions that you have in your mind, just so you can have your peace of mind. The social media is a great place to find information about roofing contractors. Make sure that you read the reviews on their page and see the kind of experience other people had with them. You might not know this but the Better Business Bureau is an organization that allows consumers to register their complaints about some of the service providers. If want to be absolutely sure that you are hiring the right company, this is the place to do your research. You need to be absolutely sure about the contractor’s credentials in order to make sure that you are not dealing with a fraud who would do a really bad job. The first thing that you need to do is ask them for their documents that will show that they have relevant experience and have worked with other people as well. After they show you their license, make sure that you verify it. Full protection with a Roofing General Liability policy- This covers injuries and protects the property in case of natural disasters. Surety bonds- This is a guarantee to customers that the contract will be finished. Workers Compensation insurance- This gives coverage to the employees that get on the site. One of the credentials that you should be on a lookout for is GAF certification that shows a contractor is licensed in the state that they are working at. Hiring a GAF certified means that you can sit back and relax because you will know that you are getting a qualified professional. Pricing is a very important factor but it shouldn’t be the only deciding factor. Don’t be lured by it and pay attention to the credibility, license, and the experience of the contractor. Roof installation needs permits, so make sure that you ask the contractor. Only a skilled and experiences contractor would know about the materials they are working with and would know what to bring to work depending on the customer’s needs. Feel free to also question them about the tools that they will be using to fix your roof. You want to hire someone who has a great personality and excellent communication skills because that will ensure that you are getting the services that you are paying for. Make sure that you ask the professional about you should be expecting to pay them. Ask them all the relevant details in order to know that their services will fit your budget. You don’t want to pay for the work that was never done, which is why it is important that you first inspect the house and see if they did all the tasks that they had promised. Ask your contractor to read the things that you have written and get them to sign the document as well. While making the contract, make sure that it includes the contractor’s name, address, phone number, and the state license number. Other than this, it should also have the work description, the list of the materials that would be used in the house and their prices. Make sure that you also mention the terms and conditions of the installation. A contract is a binding agreement that protects both the parties and is used to settle any disagreement that might occur, which is why you need to pay special attention to it. So, now you know the things that you need to look for when choosing the roofing contractors. Make sure that you choose wisely so that your roof is fixed and you get the services that you paid for. What is the difference between a quartz and granite countertop?